Borneo is an island filled with mystery and steeped in conflicting traditions. Borneo, largest of the Malay Archipelago and third largest island in the world, was visited by the Portuguese in 1521, and shortly thereafter by the Spanish, who established trade relations with the island. The arrival of the Dutch came in the early 1600s, and the English followed around 1665. The Dutch had established themsleves on the west coast by the early 1800s and were gradually extending their reach to the south and east. The British adventurer James Brooke (the first of the White Rajas - see below) took the north edge of the island in the 1840s, and what is now Sabah was declared a British protectorate in 1882, Sarawak and Brunei in 1888. The final boundaries were defined in 1905. In World War II the island was held by the Japanese from 1942 to 1945. 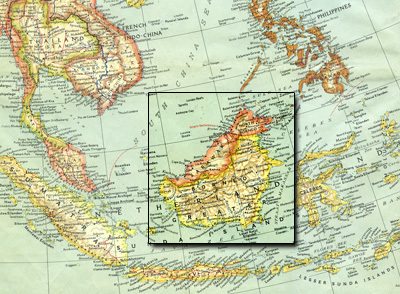 Dutch Borneo became part of the republic of Indonesia in 1950. The union of Sabah and Sarawak with Malaya in the Federation of Malaysia in 1963 was resented by Indonesians. Indonesian guerrilla raids against both areas, begun in 1964, continued sporadically until Aug., 1966. The sultanate of Brunei became fully independent in 1984. The resettlement of non-Dyak Indonesians in Kalimantan has led to recurrent violence against the settlers by Dyaks. The island largely consists of dense jungle and mountains, reaching its highest point at Mt. Kinabalu (13,455 ft/4,101 m) in Sabah. Much of the terrain is virtually impassable, and large areas remain unexplored even today. Many of the rivers are navigable only to small craft, which is the sole mode of motorized transport into the interior. 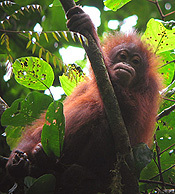 Elephant, deer, orangutan, gibbon, Malay bear, crocodile, and many varieties of snakes, bats and birds inhabit the island. Rhinoceroses, once numerous, have been extensively hunted and are now almost extinct. 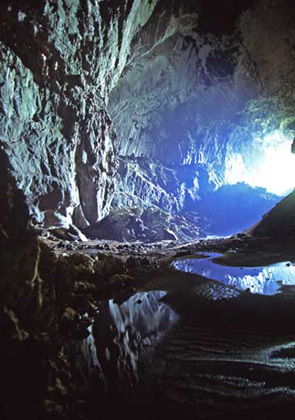 Borneo is honeycombed with caves including Deer Cave, the world’s largest natural rock chamber, big enough to contain London’s St. Paul Cathedral five times over and accommodate 40 Boeing 747s side by side. 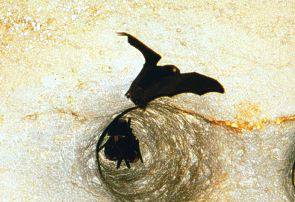 At 5pm each day, over 1 million bats leave the cave and blacken the sky as they depart in search of food. 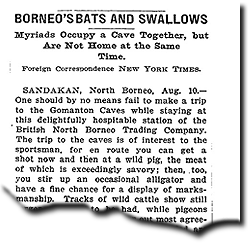 In an unusual twist of evolution, the Gomantan Caves of North Borneo have an interesting tenant agreement with its residents. 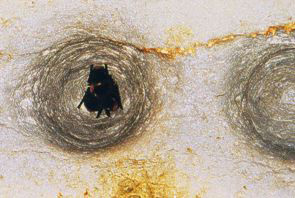 During the day, the caves are home for millions of bats while at night, the domicile is turned over to an enourmous flock of Swallows whose nests are famous as the main ingredient of Chinese Birds Nest Soup. When James Brooks arrived in Sarawak, he was confronted with world in turmoil. Pirates… Head-Hunters… the selling and purchasing of slaves, …children bargained for in the open market for thirty or sixty dollars apiece, these were the scenes unfolding before him as he stood at the helm of his ship. Unable to stand by, he proclaimed himself the one who would rid this country of all that is not acceptable by the civilized world. Brunei was a land not at rest, governed by a Sultan at his wits end to solve its internal problems. And the Englishman, James Brooks, was at the right place at the right time. Enlisted to quash one of the may chronic rebellions being waged againt the Sultan of Brunei, Brooks defeated the rebels, cleared the river of pirates and established order. As a reward for his success, Sarawak, a large portion of Brunei, was given over to him. And so it was in 1841 that the reign of the White Rajas began, a dynasty that lasted until as recently as 1946. The Brooks policy was one of stewardship and paternalism rather than conquest and enrichment. Though Mohammedan laws were maintained in Sarawak, the worst abuses were purged out, as for instance, the death penalty for infidelity, and the payment of a fine as the punishment for murder. As for the Dayaks who formerly were cheated by Malay traders and robbed by Malay chiefs, they were permitted to enjoy absolute safety. Though the raj did end the practice of headhunting in Sarawak. Both Raja Brooke and his nephew, Charles who succeeded him in the same spirit, followed the policy of making use of the natives themselves in governing, and Sarawak for many years enjoyed the distinction of being a country where the interests of the natives were guarded with greater care than those of the "minority race." While James laid much of the groundwork for the expansion of Sarawak, it was his nephew Charles who was the great builder, both in terms of public buildings such as forts and also in extending the borders of the state. While the manner of his departure was controversial, Vyner nonetheless instituted significant political reforms, including ending the absolute rule of the Rajah in 1941 ahead of the Japanese invasion by granting new powers to the Council Negri (the parliament). As Raja, each struggled to keep true to their guiding principles but as men they had their own unique characters. James ruled with his heart, Charles with a stern sense of duty and Vyner with a sense of humour. Sir Charles Vyner Brooke, abrogated his own powers in 1941 by enacting a constitution designed to establish democratic self-government. This effort was delayed by the Japanese occupation from 1942 to 1945. Devastated by war, the territory was ceded to the British crown in 1946. Sarawak achieved self-government and joined Malaysia in 1963.